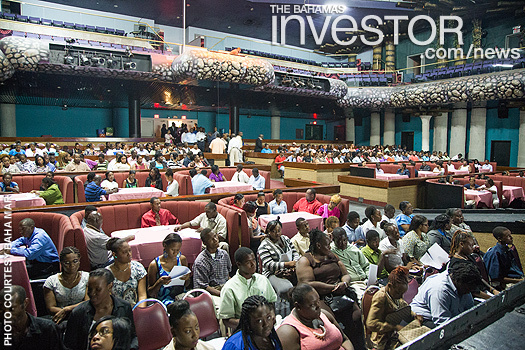 Baha Mar has increased the enrollment of its Leadership Development Institute to more than 400 students. Baha Mar has doubled the enrollment of its Leadership Development Institute (LDI) to more than 400 students–six of whom have intellectual and developmental disorders (IDD). In May, 150 students graduated from LDI’s first class. The following session of LDI saw enrollment increase to 162 students. Through a partnership with Best Buddies International, LDI is also allowing individuals with IDD the same chances to succeed as other employees. Each IDD student has been paired with a ‘student buddy’ in LDI for the duration of the 16-week class session. During the class sessions, LDI students will learn functional and technical skills, service skills, leadership training and life skills, part of LDI’s overall vision to create opportunities for all Bahamians, including those with unrealized potential. The Organization for Economic Cooperation and Development yesterday released the full version of a new global standard for the exchange of information between jurisdictions. Read the report here.